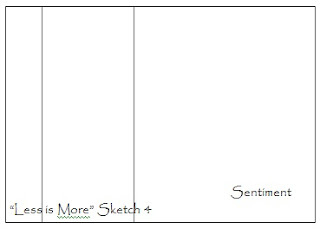 We were to follow this sketch closely...landscape orientation, 'band' on the left, sentiment on the lower right. I love this sketch! It lends itself so easily to all themes, from fun birthday to elegant wedding. I chose to do a birthday card. Image is by Hero Arts and sentiment by Penny Black. Stamped the image with Tuxedo Black Memento on SU Pink Pirouette and colored with copics. Border punch by SU. What beautiful flowers, Carol! I love the punched edge on one side and that fantastic sentiment. Oh, Carol, this is stunning! Your coloring on the poppies is wonderful, and the sentiment is perfect! Oh, this is absolutely gorgeous!!! LOVE those flowers--and your coloring is amazing! :) LOVE this!!! Beautiful combination...the flower and sentiment are perfect together! So elegant with the dark pink edge on the Pink Pirouette background. Simply fabulous Carol, a great image beautifully coloured and elegantly mounted! A beautiful card - I love poppies & that is a gorgeous stamp. This is absolutely beautiful Carol. Thanks so much for your kind comments on my blog. This is gorgeous! Beautiful coloring, love the little scalloped border, and wonderful sentiment. :) Ann Y.
Lovely card. You certainly have been busy. Thi si sone of my favorite stamps. These poppies are so pretty - great colouring! Utterly gorgeous!!!!!! I ADORE that stamp!!! And the border punch on the side is just terrific too!! !